A few Blount County teams are participating in spring break tournaments this week. Coverage of tournaments will appear in next week’s issue. APPALACHIAN had a fantastic week, winning all three of their games. Their first two were by huge margins against Jefferson Christian Academy, 16-1 and 18-2. During the first game, the Eagles took a quick lead scoring three runs in the first inning, five in the second, and seven in the third. They had 11 total hits in the game. Landon Snow (2-3, 3 RBIs), Chase Payne (2-3, 4 RBIs), and Ethan Silva (2-4, 1 RBI) led the Eagles. Appalachian performed in other ways on offense with nine stolen bases. Bryson Seawright led in stolen bases with three. Max Glaze was the winning pitcher. He surrendered one run on one hit over three innings. He also struck out seven. The second win looked very similar. Appalachian scored four runs in the first, five in the third, two in the fourth, and seven in the fifth. Noah Harris was the winning pitcher. He allowed zero runs on zero hits over four innings and struck out eight. The Eagles had 14 total hits. Garrett Helms (2-3, 2 RBIs), Dalton Lancaster (2-3), Silva (2-4, 1 RBI), and Harris (2-2, 2 RBIs) led the Eagles to victory. Once again, the Eagles shined stealing 15 bases against Jefferson Christian. Payne led with six stolen bases. Appalachian’s final win for the week against Cleveland was much closer and undecided until the seventh inning. The game was tied at five with the Eagles batting in the top of the seventh when Snow doubled and scored two runs. Glaze, Seawright, Snow, Silva, and Payne had one hit each for the 7-5 victory. With the three wins, Appalachian improved to 7-2 thus far in the season. CLEVELAND had two wins and three losses last week. The Panthers’ two wins were against Cold Springs, 16-6 and 10-9. They had 14 total hits in their massive win. Tony Zavala, Elijah Longshore, Elijah Thomas, and Bryson Browning had multiple hits. Zavala led the offense with four hits in his five at bats with three RBIs. The next win was a close one. The game was tied at nine with Cleveland batting in the top of the sixth when Zavala grounded out and scored a run. Cold Springs was unable to get another run. Matt Walker and Longshore had three hits each to lead the Cleveland offense. The Panthers’ losses were to Cold Springs (4-12), Appalachian (5-7), and Douglas (1-11). It was a tough week for J.B. PENNINGTON after losing two games to Glencoe. However, they proved they could keep up and won 13-6 in their final matchup. The fourth inning was the biggest for the Tigers with eight runs. The Tigers had nine total hits. Jaxon Bullard led the offense (2-4, 5 RBIs). Noah Allison, Matthew Smith, and Cade Timmerman had multiple hits as well. ONEONTA had a fantastic week defeating Ashville (17-12 and 5-4) and Sardis (16-0). They had one loss to Westbrook Christian 4-8. The Redskins had 18 total hits in their first win over Ashville. Jake Hodge, Daniel McCary, Austin Nix, Jacob Green, and Harris Burns each had multiple hits. McCary and Hodge both had four hits to lead Oneonta to victory. Their second win against Ashville was undecided until the bottom of the seventh when Beau Ragsdale tripled driving in a run to tie the game. Ragsdale then scored on a passed ball giving Oneonta the victory. The Redskins had eight hits for the day. Ragsdale (2-4, 1 RBI) and Hodge (2-4, 2 RBIs), with one hit being a homer, led the Oneonta offense. Harris Burns was the winning pitcher. He allowed seven hits and four runs and struck out 10 during his seven innings pitched. Brodie McCracken set the tone for the Redskins tossing four shutout innings in the 16-0 win against Sardis. He surrendered just two hits, struck out seven, and walked one. Oneonta had 13 total hits. They scored nine of their 16 runs in the third inning. Nix, Green, and Hodge had multiple hits for the Redskins. Green (3-3, 3 RBIs) and Nix (3-3, 1 RBI) led with three hits each. Oneonta is 7-3 thus far in the season. SOUTHEASTERN won one game and lost twice in their matchup against West End. Their monstrous 12-1 win was led by Albert Tinney (4-5, 3 RBIs) and Connor Barton (4-5, 1 RBI). The Mustangs had 14 total hits. Tinney was the winning pitcher. He allowed one run on two hits and struck out six during his six innings pitched. Southeastern improved to 8-3 during their competition with West End. APPALACHIAN had two monstrous wins last week. They first defeated Coosa Christian 15-5. Seven of their runs were in the fourth inning. Appalachian had 11 total hits. Aleigha Wilson, Reilly Lancaster, and Zoe Payne each rallied two hits to lead the Lady Eagles to victory. Elisa Maddox was the winning pitcher. She surrendered three hits and five runs and struck out five during her five innings. Appalachian also won 15-3 against Jacksonville Christian Academy. They had 10 of their runs in the third inning. Ashley Whittington received the win on the mound. She allowed three runs on one hit, struck out 10, and walked one during her five innings pitched. Appalachian had three players steal at least two bases. Kylee Davis led with three. Gracey Gulledge led the Lady Eagles’ offense with two hits in two at bats. The wins improved their record to 7-2. LOCUST FORK had two huge wins and one loss last week. They began the week with a 1-6 loss to Douglas. The Lady Hornets moved on and defeated Fultondale 16-1. They scored three runs in the first inning, two in the second, one in the third, and 10 in the fourth. Nicole Tumbush led the offense 3-3 with 2 RBIs. Hannah Payne was 2-3 with 5 RBIs and Skylar Massey was 2-3 with 1 RBI. Payne was the winning pitcher. She allowed one run on three hits during her four innings pitched. Locust Fork continued their winning streak and defeated Cleveland 11-1 the following day. The wins improved their record to 9-5. SUSAN MOORE began their week with two wins against Cleveland and Glencoe, but ended their week with a loss to J.B. Pennington. The Lady Bulldogs had nine total hits in their 8-5 Cleveland victory. Haley Lang (2-3), Emma Cornelius (2-4, 1 RBI), Jada Kent (2-3, 2 RBIs), and Chloe Smith (2-3) had multiple hits to lead Susan Moore. Glencoe took the lead in their next game, but the Lady Bulldogs came back scoring three runs in the fourth inning. Susan Moore won 5-3. McKenzie Standridge led the Bulldog offense 3-3 with 2 RBIs. J.B. Pennington was too much for Susan Moore and the Lady Tigers won 11-1. Alanna Goble was on fire from the mound. She allowed one hit and one run, struck out 14 and walked one during her six innings pitched. Makayla Head was 2-4 with 1 RBI to lead J.B. Pennington in hits. 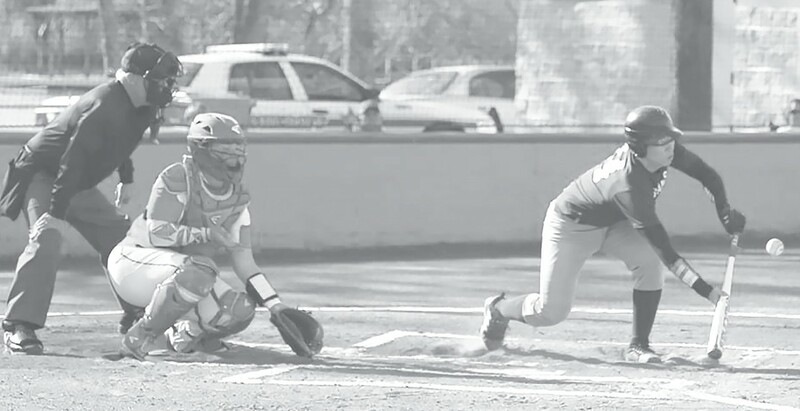 The HAYDEN Lady Wildcats continued their winning streak last week with an 18-0 victory over Jasper. Savannah Painter and Hannah Cox combined for the shutout while Savannah Woodard led the Wildcats on offense driving in six runs (3-4 with two doubles and a home run). All together, the Wildcats tallied 16 hits off the bats of Woodard, Grace Benton, Lindsey Smith, Cox, Kaitlyn Belding, and Olivia Armstrong. On Thursday, Hayden moved up to the number one spot in 5A in the latest AHSAA poll. That led to a huge match up against the number four Mortimer Jordan Blue Devils. In a tough contest, the Blue Devils came out on top as they took the 9-4 win. The Wildcats watched the game slip away early and couldn’t recover. Painter took the loss for the Wildcats surrendering eight runs on seven hits. Cox led the Wildcats with three hits in three at bats. The Wildcats bounced back Friday with a close one against J.B. Pennington coming away with the 11-9 win. They took the game in dramatic walk-off fashion thanks to a walk-off single to topple Pennington. The game was tied at nine in the bottom of the seventh when Becca Benton singled on an 0-1 count, scoring two runs. Belding led the Wildcats (3-4) driving in five runs. Painter took the win allowing only two hits and zero runs. The Wildcats scattered 12 hits in the game off the bats of Belding, Gracie Benton, Becca Benton and Smith.